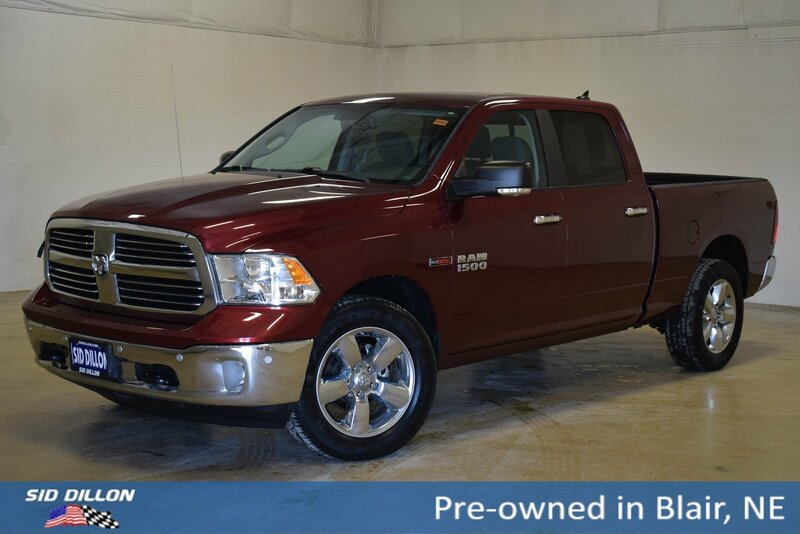 This Ram 1500 has a strong Intercooled Turbo Diesel V-6 3.0 L/182 engine powering this Automatic transmission. 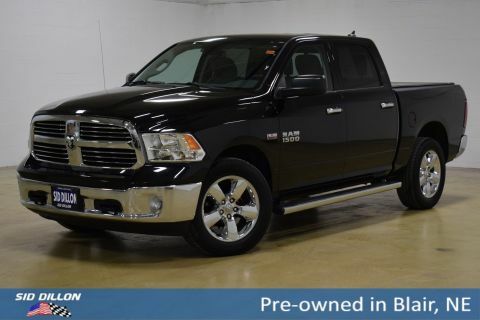 Power drivers seat, Bed Liner, Towing Package, WHEELS: 20 X 8 ALUMINUM CHROME CLAD (STD), TRANSMISSION: 8-SPEED AUTO (8HP70), TRAILER BRAKE CONTROL. QUICK ORDER PACKAGE 28S BIG HORN -inc: Engine: 3.0L V6 Turbo Diesel, Transmission: 8-Speed Auto (8HP70), Steering Wheel Mounted Audio Controls, Sun Visors w/Illuminated Vanity Mirrors, Glove Box Lamp, Full Size Temporary Use Spare Tire, Underhood Lamp, Big Horn Badge, Leather Wrapped Steering Wheel, Bright/Bright Billets Grille, Rear View Auto Dim Mirror w/Microphone, Locking Lug Nuts, LED Bed Lighting, Overhead Console w/Garage Door Opener, Universal Garage Door Opener, Dual Rear Exhaust w/Bright Tips, Electroluminescent Instrument Cluster, Exterior Mirrors Courtesy Lamps, Auto Dim Exterior Mirrors, Big Horn Regional Package, Exterior Mirrors w/Supplemental Signals, Rear Dome w/On/Off Switch Lamp, Power Heated Fold-Away Mirrors, Electric Shift On Demand Transfer Case, Remote Start System, Power Folding Mirrors, Security Alarm, Nav-Capable! See Dealer for Details, 6 Month Trial (Registration Required), Media Hub (SD, USB, AUX), Uconnect Access, 8.4 Touchscreen Display, 6 Month Trial , TIRES: P275/60R20 BSW AS (STD), REAR WINDOW DEFROSTER, PROTECTION GROUP -inc: Transfer Case Skid Plate Shield, Front Suspension Skid Plate, Tow Hooks, MANUFACTURER'S STATEMENT OF ORIGIN, GVWR: 6,950 LBS, ENGINE: 3.0L V6 TURBO DIESEL -inc: 230 Amp Alternator, GVWR: 6,950 lbs, Maximum Duty Engine Cooling, 26 GAL, Fuel Tank (Replace 32 GAL. 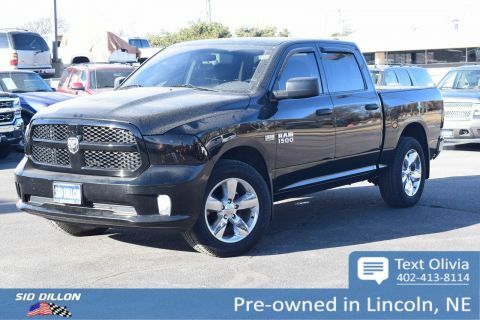 ), 3.55 Rear Axle Ratio, 800 Amp Maintenance Free Battery, 3.0L Diesel Badge, Selective Catalytic Reduction (Urea), Next Generation Engine Controller, ENGINE BLOCK HEATER, DIESEL GRAY/BLACK, PREMIUM CLOTH BUCKET SEATS -inc: Full Length Upgraded Floor Console, Power Lumbar Adjust, Folding Flat Load Floor Storage, 115V Auxiliary Power Outlet, Bucket Seats, Rear 60/40 Split Folding Seat, Power 10-Way Driver Seat, DELMONICO RED PEARLCOAT. 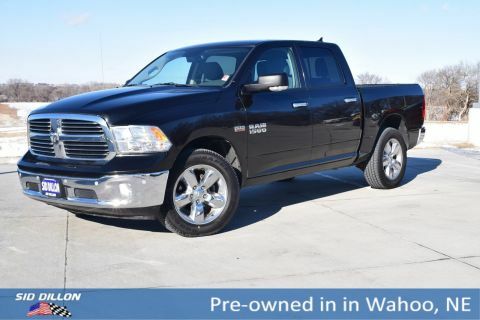 For a must-own Ram 1500 come see us at Sid Dillon Blair, 2261 S Hwy 30, Blair, NE 68008. Just minutes away!